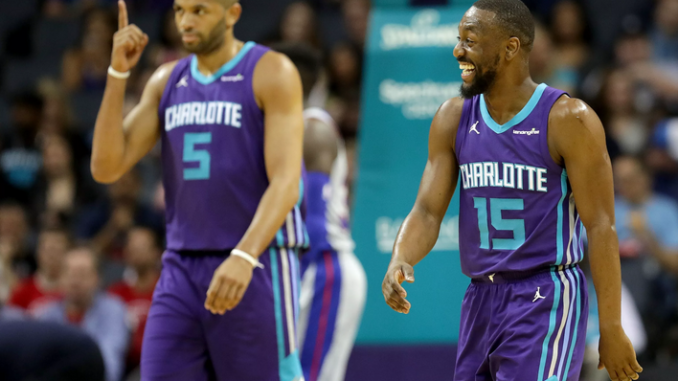 Charlotte is fighting for their playoff lives out here, and in the process, trying to show Kemba that he should re-sign for all the money he could possibly want. But the team lacks a competitive spirit, and it has become clear that there are so many holes on the roster that even if they got in, they would need a 50-point night from Walker to make it close. Washington, on the other hand, is unlikely to make the playoffs, but have been fighting their tails off in the past month. They have had some ugly losses, but also some impressive wins. With Bradley Beal as their primary playmaker, everybody has known their roles, and the offense has functioned very smoothly. This has not been a great year for Charlotte, as they are seven games under .500. It is hard to say exactly what their expectations were, given that besides Kemba Walker, they do not have any consistent players to put the ball in the hoop. Marvin Williams can knock down the three-ball, while Jeremy Lamb is able to score in bursts at times. Their supposed “sixth man” leading scorer, Malik Monk, is not even a part of the rotation anymore and does not seem to be getting the support he needs from his head coach. Cody Zeller has been in and out due to injuries. They have lacked the ability to go on any sort of long winning streak, with a pair of wins here, and then that would follow with a three-game skid. They have a legitimate chance to qualify for the postseason if they can just win 3-4 games in a row down the stretch here. It isn’t impossible. They have the #7 scoring offense in the league and have no problem putting the ball in the hoop. Defensively though, they rank next to last in points allowed, and it’s proved to be a huge issue. Beal is averaging 26-5-6 and proving himself to be an All-NBA talent. Bobby Portis is averaging 15 points and nine boards while shooting 43% from deep. Jabari Parker is averaging 14-7-3 with 1.3 steals since coming over. Both guys have been terrific. Satoransky meanwhile has done an admirable job as the fill-in for Wall with 8-3-4 on the year and had a few big scoring outbursts. They are unlikely to make it to the playoff this year but have shown that with a group like this having 82 games, they could be a force. It is unclear if they plan to bring Trevor Ariza back next year, but it is clear that he has a positive impact in DC. Riding with CHA-town! The Hornets need this win as they look to catch up with Orlando and Miami, and they are in fact going to be coming away with it. They will vault themselves back into the conversation for the #8 seed.